And all those countries in Europe have zero or negative interest rates (just like Japan) other than United Kingdom (0.75%), Hungary (0.9%) and Czech Republic (1.75%) who have low interest rates too. These countries offer little incentive in the form of interest rates to savers (and an aging population) to save money with a bank causing the flight to risker assets and asset bubbles. 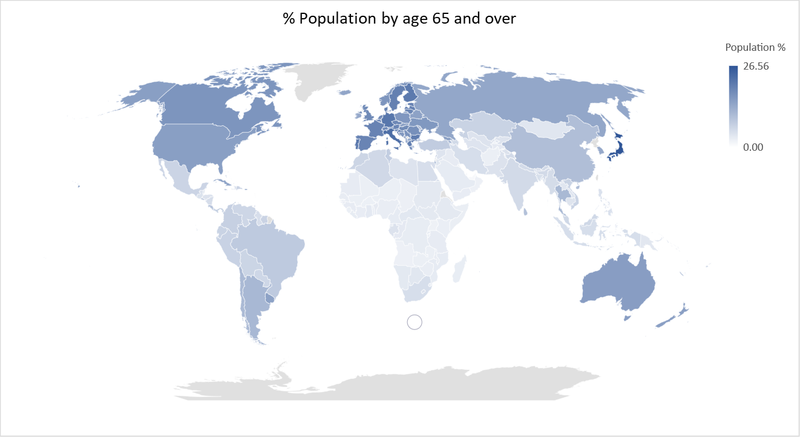 Shouldn’t these countries have higher interest rates to support pensions and savings? Well, technically they should. But they don’t. Even government bonds pay close to nothing for these countries, so bond yields aren’t supporting either. Low yields and low interest rates are going to cause further issues down the line with pensions. The 28 countries that currently form the European Union have an estimated $22 trillion in underfunded government and public-sector employee pensions. Long term pension funding assumes 7% yields, the number has been much closer to 1.5% (mainly due to low bond yields) on an average since 2009 which has caused major deficits. 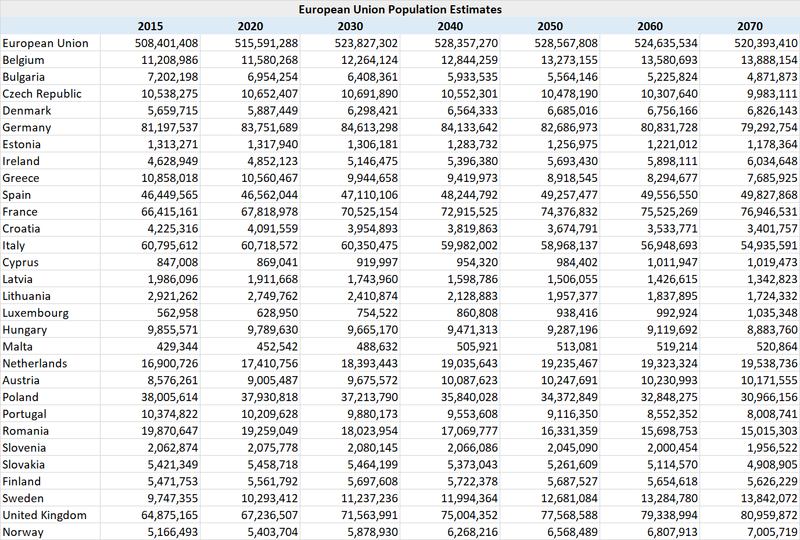 Most of Europe is likely to experience falling population in the next few decades causing further issues. There are currently 8 workers in employment for every retiree in Europe today, that number is likely to reduce to just 2.5 workers in employment for every retiree by 2050 in Europe. Those numbers will not only be catastrophic in funding pensions but will also cause major issues in government funding as well as economic growth. 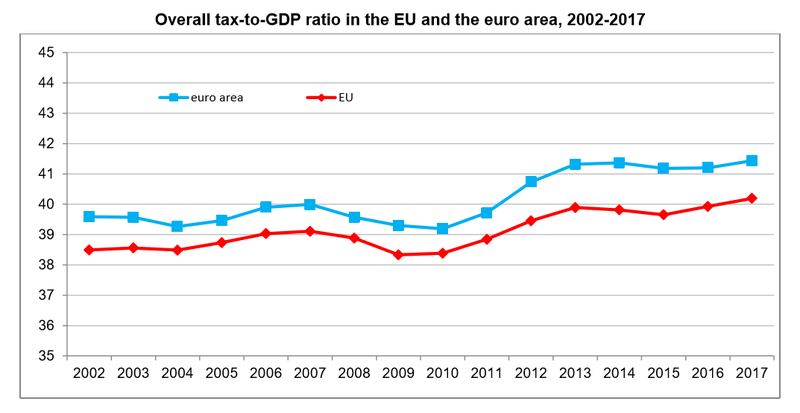 Europe has high tax rates and is heavily dependent on general taxation economically. A smaller working population would mean significantly lower tax collections. The overall tax-to-GDP ratio, which is the sum of taxes and net social contributions as a percentage of Gross Domestic Product, stood at 40.2% in the European Union (EU) in 2017 and 41.4% of GDP for the Eurozone in 2017. These were the highest ever levels for both the European Union and Eurozone. Lower tax collections will directly cause issues with social funding too. 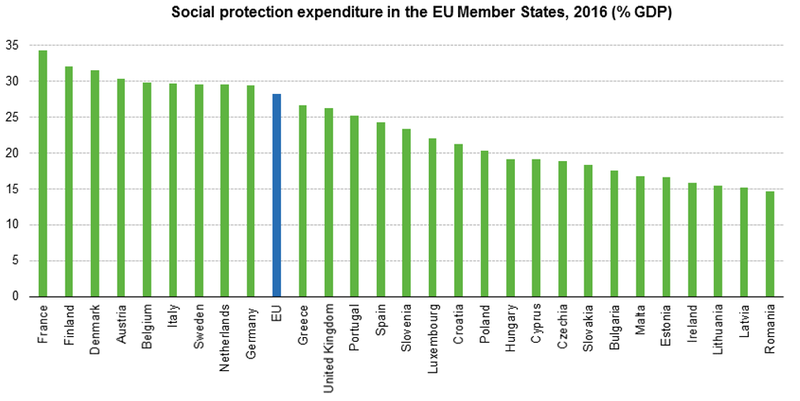 Social protection expenditure in the European Union (EU) stands at 28.2% of GDP. 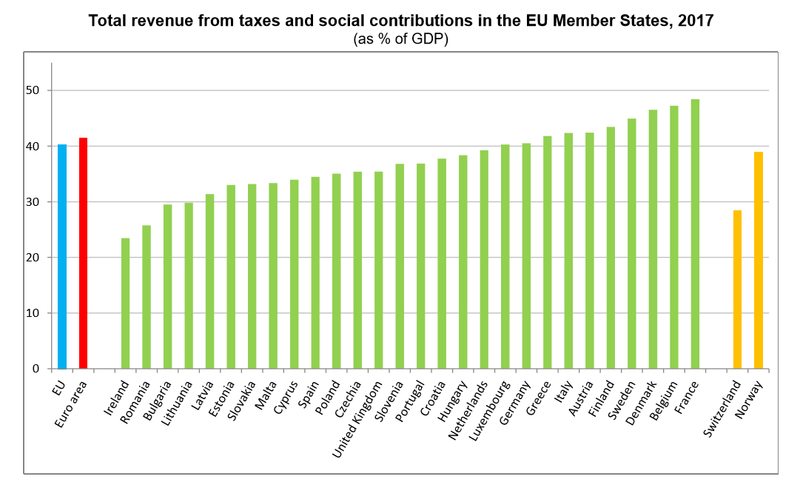 The two main sources of funding of social protection at EU level are social contributions, making up 55% of total receipts, and general government contributions from taxes at 40%. 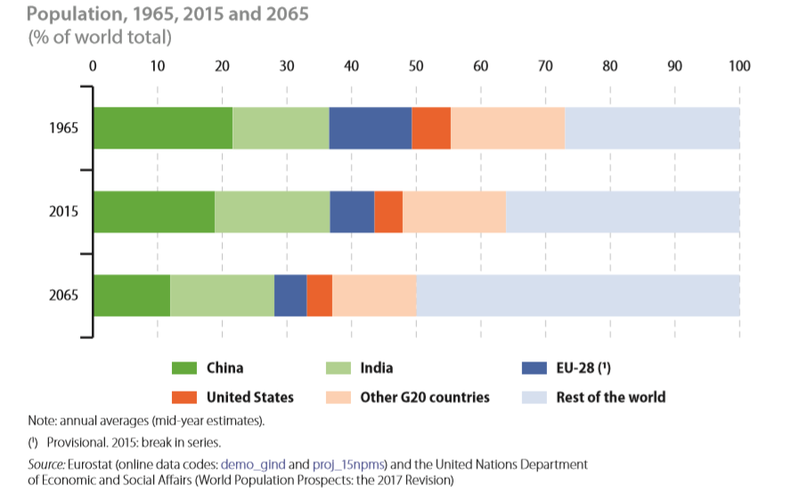 An aging European population is set to cause major economic challenges in more ways than one.